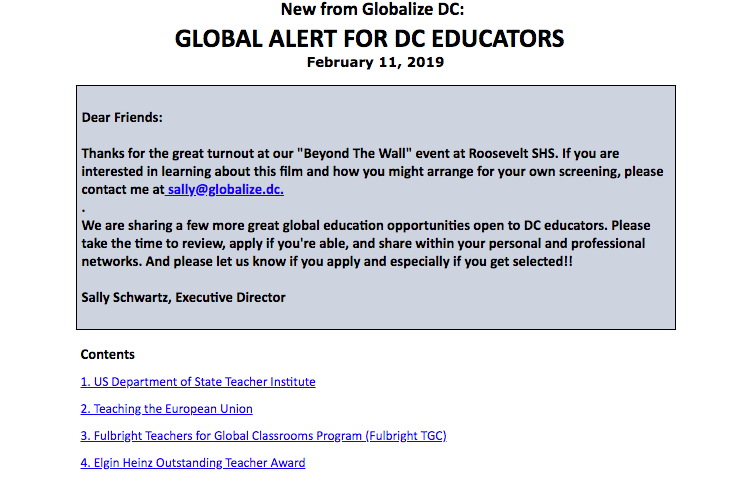 The latest edition of the Globalize DC’s newsletter is out. It’s not just for DC educators, but has announcements of programs that teachers across the U.S. can participate in including Fulbright programs. Click below for more!